Whether you have your own lab or use an external company, it couldn't be easier to record fibre analysis results. 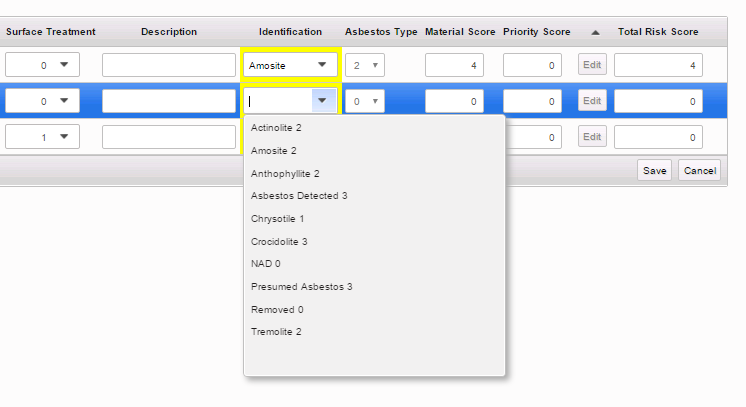 To get the most out of your asbestos lab you need the analysts to be working quickly, accurately and with as little paperwork as possible. Alpha Tracker delivers by enabling all lab analysis to be entered on the PC and the laborious lab paperwork to be automated and removed from the process. Alpha Tracker can also count the "points" total for each analyst to ensure that their accuracy is maintained during the working day and it can be used to generate additional samples for checking. 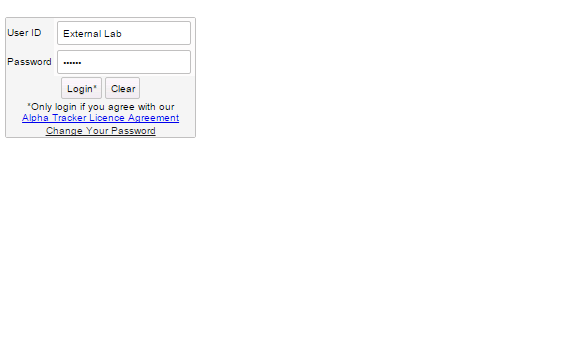 Why not take advantage of the flexibility of having a browser-based system and give your lab a special Remote Lab login so that they can log in to your Alpha Tracker and enter the results directly into your survey data. 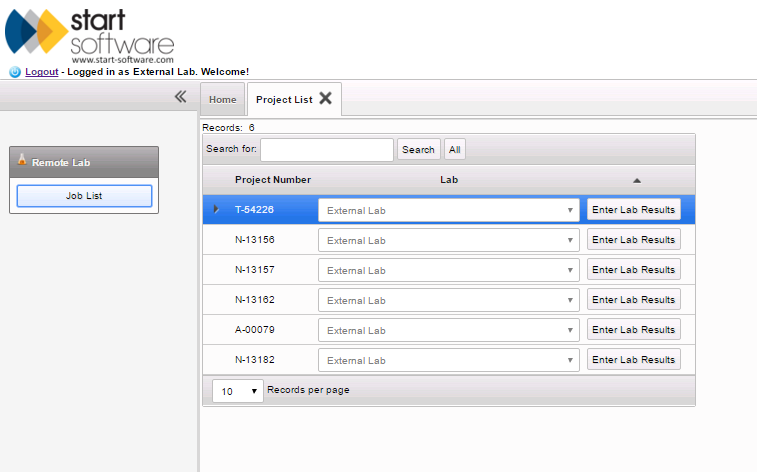 The lab will see only a special Remote Lab menu, with only the samples from the projects that you want them to see. 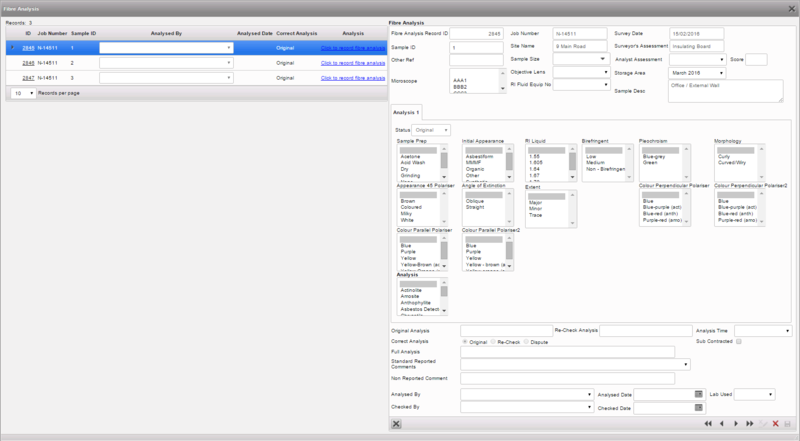 select the analysis for each sample. The results are immediately available in your survey data. See the next step: Instant Asbestos Survey Report.